Whether you are a student, amateur musician or in a professional band or orchestra, Sam Ash Music catalog has the instruments, gear and accessories you need at coupon code savings you will love. Valid on select product purchases of $299 or more with your Sam Ash Credit Card. 24 equal monthly payments required! Free Shipping on orders of $9.99 or more. Guitars and Bass Guitars - They carry the largest selection of acoustic guitars, bass guitars and electric guitars anywhere, including folk instruments, ukuleles, sitars and banjos. If it has strings and you can play it, you will find your instrument in the Sam Ash Music catalog. 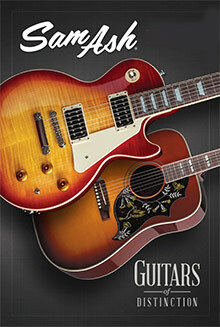 The big names are here, from Fender, H. Jimenez, Hohner, Gibson, Ibanez and Washburn. But the selection does not stop there. This is truly an awesome selection of folk and stringed instruments with harmonicas, mandolins and autoharps for every musical style. Keyboards, Synthesizers and MIDI Controllers - Keyboard players will find exactly what they need to get them to another level with keyboard accessories, keyboard packages and workstations that will be the envy of your fellow musicians. Whether you are in the market for a Korg King key synthesizer or a Roland rhythm performer, they have the right instrument for you. Drums and Percussion Instruments - Drum sticks, they have them. Drum heads, they have them. That goes for drum hardware, accessories and complete percussion setups as well. Whether you need a kick drum pedal, cymbals or a complete drum kit, the Sam Ash Music catalog has a comprehensive selection. This is the place for marching band and orchestral percussion instruments too. Drum students and band pros can hone their chops on the top quality gear from Tama, Sabian, Ludwig and Yamaha, at prices that work with you. Microphones, Headphones and Recording Equipment - If you are making music, this is the place to find all the band gear and home recording studio equipment you need. They have live sound gear, DJ equipment, lighting, and the sheet music to get your band on the same page. At every gig, no matter how big or small, you will sound like a pro. Fill your music room, garage or go on the road with the right gear - and shop from anywhere with the convenient online store at Sam Ash Direct. The knowledgeable sales staff at SamAsh.com are also musicians, and are always there to lend advice and help you hone your skills, too. When you are investing in musical equipment, recording gear and electronics, they make sure you get exactly what you need with coupon code savings that ensure the price that fits your budget. They have hot deals, special offers and great rebates every single day of the year.